No matter how large or small your commercial door installation or repair project is, our experienced and highly trained technicians at Door Repair Toronto. are ready to provide the excellent customer care and high quality workmanship you deserve! Hollow Metal Doors– We offer a complete line of hollow metal door products including customized work and U.L. Labeled fire rated doors & frames. You are bound to find the door you need at Toronto Door Repair. Aluminum Doors & Entrances– These doors give your building strength and security at an affordable price. View our photo gallery to see the sturdy aluminum doors and entrances that we have installed. Automatic Doors– Automatic doors are convenient and affordable. We can help you the select and install the right type of automatic door for your space. The entrances are practical for busy spaces. Sliding– Our simple, yet classically designed sliding doors are made from the highest quality materials available. These doors are made to make your spaces easily accessible and functional. Swinging– At Toronto Door Repair, our experience has taught us how to differentiate between premium quality and mediocrity with every door we offer, including our swinging door selection. Our swinging doors are simple and stylish! Revolving Doors– Full service restoration and retrofitting of revolving doors are available from Toronto Door Repair. Wooden Doors– Available in wide variety of veneer choices, we have the doors and surfaces to meet your project’s specification. From species to cut, match, and lay-up selections, we will work with you to make sure that your project’s design intent is maintained and enhanced. ADA Operator– We carry ADA operators. If you’re not sure whether or not you would like to make your doors automatic, you can speak with our highly experienced team to learn about your options and which ADA operator is right for you. DeTex Preferred Distributor–Detex offers a wide range of life safety and security door hardware products that keep your people and your property safe. We are proud to be a preferred distributor for Detex. Call us for Detex alarms, keys or other accessories. We have stock inventory and in most cases are able to ship same day. We offer obligation-free and complimentary estimates so you know exactly what to expect with your Toronto commercial doors. With quick turnarounds, you can have your doors installed or repaired as quickly as possible! Call us anytime during business hours at (866) 820-1331 to schedule an appointment with our team. Thank you for considering Toronto Door Repair. for your next project! Some things are common knowledge. Some things are just common sense. We don’t have to think about them; we just do them because we consider them natural. Don’t we all get dressed before exiting our homes? We should feel the same way about our home locks. We buy them, install them and then forget to lock them. You might find it strange and far stretched but actually this is one of the most common reasons why there are so many home burglaries today and especially during the day. Do you think you will scare the intruder away with your presence at home? Some might get discouraged surely, but others won’t care less. They will simply open the door like gentlemen, get a few things they need, close the door and leave without even bothering you at all. Ten minutes later, you will walk into your living room to discover that some things are missing or you will wonder why you don’t hear the television anymore! People leave their doors unlocked during the day but also during the night. As for their windows, they don’t even bother getting the right security locks for them! These are crucial mistakes. The basis of your security is the quality and durability of your locks. Then comes deadbolt installation! The way locks are installed is important. The combination of good locks and good lock installation is your ticket to high security. If you forget them, you just cancel the privilege you have from investing in such a strong combination. Locking the locks is vital! The best deadbolt on the market will offer you nothing if you don’t lock it. Do you know how often people make that mistake? When it comes to window locks, they totally fail to remember the importance of getting rid of simple latches and investing in good bolts. With poorly maintained window locks or weak locks, intruders would be practically invited in. They enter homes from windows or reach out to get your keys. Today, there are special window bolts, which secure them perfectly or allow you to open them slightly just for ventilation. Not only locks need to be locked but also regularly checked. This way, you will avoid surprises with problematic mechanisms. Invest in lock change when the existing bolts are old or ruined. Invest in lock repair to fix issues and invest a few minutes in locking up your home. Your home is the place you feel most comfortable. It’s the place you lay your head down at night and it’s the place that holds all your valuables as well as life’s precious memories. Don’t take your home security for granted. Make sure you are doing all you can to keep your family safe and your home secure. At Locksmith Southwestern Ontario, we are master locksmiths who specialize in providing homes like yours with the best in locksmith services and products. We offer top brands like Medeco, Schlage and Kwikset for our residential customers. We can help you select the hardware that’s best for you specific needs and can install the hardware with the least amount of interruption. While lock hardware is vitally important, the keys to open the locks are the other half. As master locksmiths in Southwestern Ontario, we offer key and rekeying services to ensure only the right, authorized people have access to your home. In addition, we can provide residential master key systems, high security locks and deadbolts, push button locks, electronic key cards and on site lock repairs or upgrades. With more than three decades of experience, you can count on the Locksmith Southwestern Ontario team for all your residential locksmith needs. We offer free estimates. 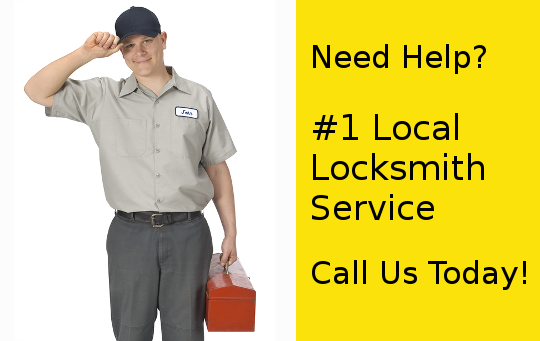 Additionally, we are full service locksmiths who are insured, bonded and licensed. If you need a locksmith at home, choose wisely and call for a technician from Locksmith Southwestern Ontario. 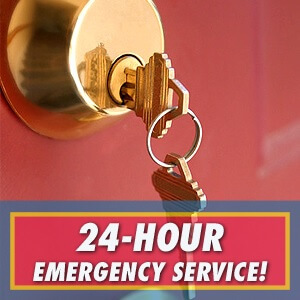 Our Southwestern locksmiths come to you as mobile 24-hour residential lock experts, always ready to make keys, open doors, service alarms, rekey locks, add door knobs, install deadbolts and so much more! 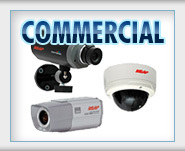 From gun safes to security cameras our certified lock professionals do it all! So don’t wait; call Southwestern Ontario Lock and Key today and get some free price quotes. We offer free consultations too so be sure to ask about that. Start enjoying the best in home locksmith protection and give us a call! Does your list of responsibilities include properly maintaining commercial doors? If you own or manage a commercial property, these access points are likely integral to your operations. Ensuring they are well maintained is an important task. To successfully complete it, hire an expert in commercial door repair in Toronto, Ontario. The right vehicles: Experts in commercial door repairs offer trucks that are outfitted for the job. The technicians are able to bring the right equipment with them to your location. Items such as vises, welders and parts are conveniently brought on-site to get the job done right, and in a timely manner. The right experience: Commercial doors are not like other doors. Experience with other types of projects won’t necessarily transfer to these jobs. Commercial door experts have the experience in the types of projects you need to complete for your doors. They know the safest, quickest and most cost-effective ways to repair or replace these types of doors. You’ll save time and money due to their experience. The right crew: Due to their knowledge, experience and equipment, most commercial door projects can be handled by one commercial door technician. This will save you further in labor costs and travel expenses for the job. The right plan: Commercial door services can provide solid maintenance plans to keep your doors in top shape. 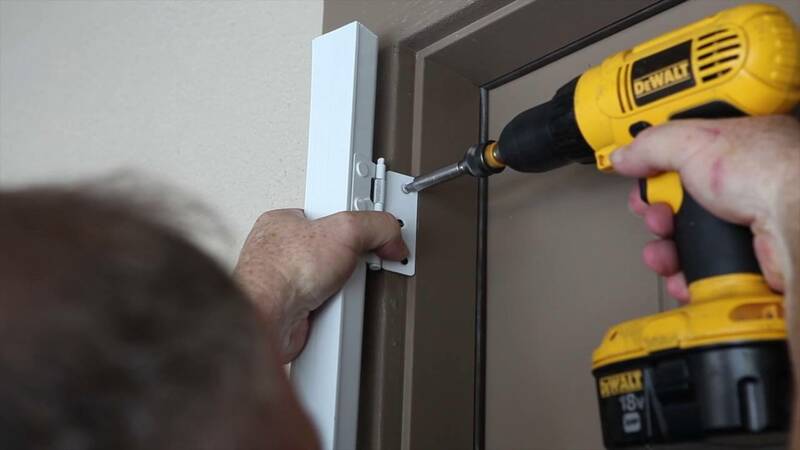 Check with your local provider of commercial door repair in Toronto to learn about what plans are available for your company. They can partner with you to properly maintain your doors to avoid future repairs and keep operations smooth. The right parts: Logically, your doors will function best when they include the best parts. A commercial door expert has access to high-quality parts recommended by the manufacturer. They will ensure that only reliable parts are used for your repairs and maintenance. The right protection: Before you hire any type of technician to perform work for your company, it is essential to verify that they have the proper coverage. A professional commercial door repair service is fully licensed, bonded and insured. This protects you from liability in the case of any incidents during the project. It also ensures the technicians are qualified for the job. 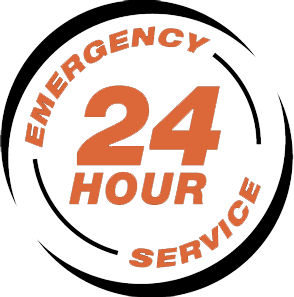 The right projects: When should you call for commercial door repair in Toronto? It is best to leave it to the experts if you need repairs or maintenance for roll-up doors, overhead doors, hollow metal and wood doors, glass and aluminum doors, gates, grilles, high-speed doors, air curtains and other specialty doors. If you are in need of professional commercial door repair in Toronto, don’t hesitate to contact the experts at Doors Repair Toronto. With over four decades of experience, we are your go-to source for commercial doors. Our family-owned company offers full service for your door needs. Contact us today for smoother, safer, more secure commercial door operation tomorrow! Your commercial storefront door is a vital component of your business. Your door is integral in creating a good first impression for anyone that walks into your store. If your door looks shoddy and needs commercial door repair in Toronto, you put yourself in jeopardy of losing that customer’s business. On the other hand, a nice-looking door can help draw in customers and help you generate revenue. If it’s been a while since you’ve replaced your door, keep reading—this post will teach you what you need to know about choosing a new door for your business. Appearance: First and foremost, you need to choose a door that looks great and goes along with the rest of your store’s facade. As you’ll learn below, your options for door styles are nearly limitless, so be sure to shop around and choose the best-looking door for your business. Security: Appearance is obviously crucial, but we can’t overemphasize the importance of safety and security. Make sure your new door has a top-of-the-line lock to help prevent any break-ins. Additionally, make repairs as soon as you notice any signs of damage, as a compromised door makes it easy for burglars to get in. Cost: Don’t overspend when you’re shopping for a door! Sure, having a new, great-looking door is important, but it may not be worth breaking the bank over. The good news is that you can find great deals on new doors if you just put in a little time and effort to shop around. Aluminum: An aluminum door is durable, cost-effective and can be painted to match the exterior of your building. These doors are also safe and secure, so you don’t need to worry about break-ins occurring at your property. For all of these reasons, aluminum is the number one choice for commercial doors across the country. Glass: Give your business a more modern look by installing a glass door. 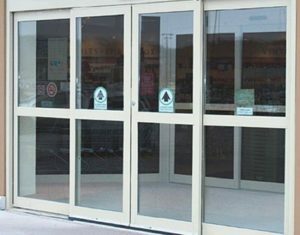 In addition to a sleek appearance, glass doors let in more light and can make your store seem larger than it actually is. Steel: The back of your business most likely doesn’t need to impress anyone. For that reason, we recommend choosing steel for the rear door of your commercial building. It doesn’t have any frills, but a steel door will last for years and years without needing repair, which is what really matters in the long run. And depending on the area around your business, you may be able to get away with a steel door on your storefront and blend right in! Whether you need installation or commercial door repair in Toronto, be sure to choose Ontario Door Repair. We have decades of industry experience working with doors of all kinds, so you can rest easy knowing that there’s nothing we can’t do. Front Doors, Closet Doors, Office Doors, Wooden Front Doors, Double Front Doors, Entry Doors, Storefront Doors, Exterior Doors, Glass Repair, Sliding Doors, Automatic Doors, Fire Doors, Glass Door, Hollow Metal Doors, Steel/Metal Doors, Aluminum Glass Doors. Having your locks changed when you move is a basic security measure that is advised by most insurance companies. However a whopping 74% of people do not change the locks when they move house! If an intruder gains entry to your home with a key then most home insurance policies won’t pay out, as there needs to be a clear sign of a breaking and entering for you to make a valid claim. You may also want to check what your insurance policy says about the type of locks you use for your home. Most insurers require you to have Canadian Standard’ locks installed; Canadian Standard uses a kitemark to indicate that the lock has been certified by the Canadian Standard Institution. A Canadian Standard is the minimum standard that a product such as a cylinder must be manufactured in accordance with before it is recognise by the relevant authorities as a quality product. If you have a lock fitted that does not meet the standard required by your insurer then you will not get a pay-out. However, when you move you need to think about more than the insurance implications. You could be leaving yourself and your family vulnerable as you don’t know who else has a key to your house. Even if the previous owners have assured you that all the keys have been left, they may have forgotten a set, or not told you about a lost set. It’s better to be safe than sorry, get your locks changed! You can protect your home with more than just new locks; there are several measures you can take to keep your new home secure including things that go inside and outside your new house. The first and easiest thing you can do is to leave your valuables out of sight. Even when you first move and there are thing everywhere, make sure things like laptops, tablets and jewellery are not visible from the windows. Install blinds as quickly as possible to give yourself and your items some privacy. Installing outdoor security lights is another great way to secure your home. As most burglars like the cover of darkness, having motion sensor lights that shine brightly when they are triggered could be enough to scare them away. Make sure your security lights are pointed towards the areas that a burglar will target; the shed, garage or gate. As you are changing the locks anyway, you might want to spend a little bit more money on high security locks. Many people nowadays have uPVC doors with euro locks which are vulnerable to a break in technique called ‘Lock Snapping’. This is a common tactic used by burglars, but you can upgrade your lock to an ‘Anti-Snap’ one that is specifically designed to prevent this method of entry. 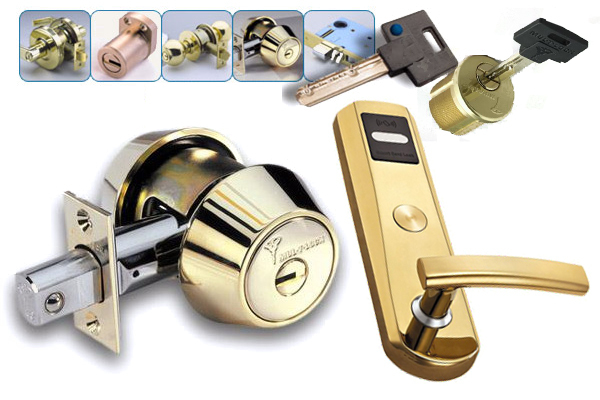 You should purchase a lock that meets the TS007 3 star standard, such as ABS High Security Cylinders. Learn more about Lock Snapping here. To specifically protect your front door you can install a door chain or letterbox guard. A door chain is a small chain attached to the door frame, which attaches to a track on the door. This will help prevent someone getting in even if the door is unlocked; however you have to be inside the house to make use of the chain. Used in conjunction with a Canadian Standard lock, this gives you a good level of security. A letterbox guard protects you from an intruder who may use a ‘fishing’ technique used by burglars. Potential intruders will use the letter box and a long piece of metal to access keys that may have been left by the front door. Once they have them, they simply unlock the door and have access to your house. Learn more about additional home security here. There is nothing that can make your house 100% secure; however by taking some simple measures you can deter thieves. You can start by looking for houses that have sturdy doors and windows or think about replacing them if they are warn or old. Once you’re in, it’s up to you how many security measures you put in place. Having the locks changed is the best thing you can do to keep your new home secure. Hiring a professional locksmith to fit these is the only way to be sure that your locks are insurance compliant, Xpress Locksmith offer a free home security check with every job we do, so if you book us in for the day you move we can appraise your home and advise on what you can do to keep the burglars away. Talk to the locksmith about anti-snapping locks and any other doors you need securing, such as a garage, gate or shed as our engineers carry a wide variety of locks on board. Learn more about home security here. Large glass sliding doors are a great addition to your home to let in more natural light, provide picturesque views of your yard and allow easy access to a porch or patio. As great as sliding doors are, though, they are also potential hazards in your home because they tend to attract thieves. The large glass panes and flimsy locks can easily be broken into. If you have sliding doors, it’s best to invest in a high-quality sliding door lock in Toronto, Ontario to keep your home safe. And no matter what kind of lock you have, there are a few ways you can make your doors even more secure. You might be thinking, “Why is it so important to lock my sliding doors?” Usually, these doors are on a balcony or porch in the backyard and hidden from view. This doesn’t mean a burglar won’t try to enter through them, though. Locking your sliding door can protect you against theft, as long as the lock is strong. Sliding doors are very easy to open and are also extremely quiet, making them the perfect target for burglars or other wrongdoers. Adding locks to sliding doors also helps protect children. These doors are easy for children to push open, even if they are too short to open a standard door. Locks can help prevent kids from getting outside and hurt on accident. Sliding doors open sideways along a wood or metal track at the top and bottom of the door. There are a few different types of sliding door locks in Toronto, but most are pretty flimsy when compared to standard door locks. 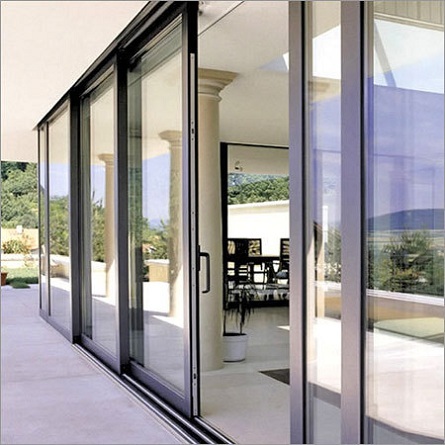 Most sliding doors have simple latches or clasps that lock the door in place by lightly latching it to the door frame. Unfortunately, these can often be jiggled open in no time. Adding an extra lock, like a loop lock or cylinder lock, to the sliding door can help add strength to the security of your sliding glass door. These types of locks use a bolt that actually enters the door frame. Add security bars: These metal bars are placed in between the wall and one half of your sliding door to keep the door firmly locked in place. They are usually easy to put in and remove and don’t require permanent installation. Upgrade the glass: Often, the glass on sliding doors is thin and easily shattered, making it an easy doorway for someone to quickly break and enter through. Upgrading your glass to shatter-resistant panes or adding a protective shatterproof film can help strengthen the glass against break-ins. 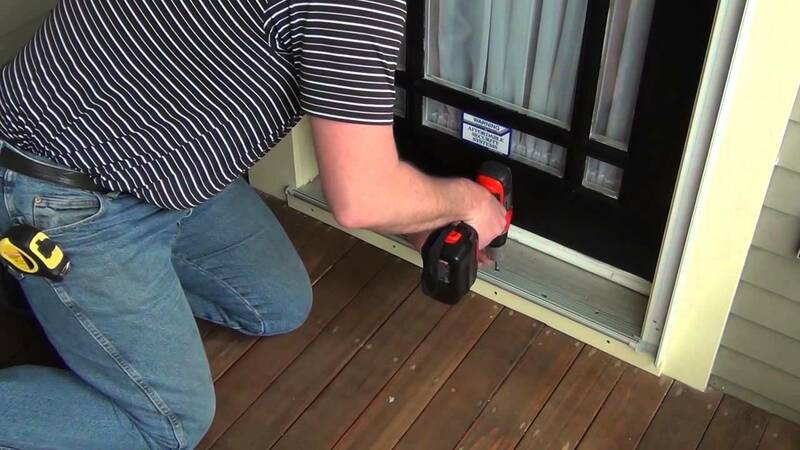 Replace broken tracks: If your sliding door’s tracks are warped, broken or old and flimsy, it’s time to replace them. Broken tracks can easily be manipulated to pop the door out and let someone into your home. Is the lock on your sliding door flimsy or non-existent? Call Ontario Door Repair! We provide a variety of locksmith and lock installation services, including sliding door locks in Toronto, Ontario. A skilled locksmith is a vital service available to the homeowner who is unfortunate enough to be involved in a lockout situation. A skilled locksmith is equipped with the right knowledge and tools to open most types of types, from the standard key to digital mechanism. In most cases, they are also able to help give advice on increasing existing home security measures or simply to cut a replacement set of keys. In order to find an honest and reliable locksmith, it will always help to know the best places to look and what steps might be taken to make sure they are reputable. Ask for referrals: A first great step to hiring a competent locksmith is to get referrals. If able ask a family member, friend, or work colleague to see if they have used the services of a friendly and reliable locksmith lately. If you’re living in a small town, then there might be just a few locksmiths offering a range of lock or security services, but if you live in a large city, there is likely to be a great number of locksmith services. It is in the larger cities that you need the most help to pin down the most resourceful and reliable locksmith companies. If you aren’t able to go the route of getting personal referrals, then the next best course of action is to go online and search the local locksmith companies. In most cases a locksmith will have a full featured website which will give you complete access to view the available services, fees, and hours of service. Using the internet is a great way to quickly compare the service of several companies’ side-by-side. Also, once you find a locksmith that appears to have the qualities that you’re after, you can do some further research on the company by looking at specialist customer review sites to make sure the company gets mostly positive comments and testimonials in relation to the service offered. In the process of locating a locksmith, it is also important to have a price confirmed prior to agreeing to any work being carried out. It helps to get an all-inclusive price which includes the complete job, which might involve the service, travel, and replacement lock, if required. Also, consider asking if the locksmith holds a sufficient level of liability insurance. This is vital to have in place in case an accident or damage should occur whilst a locksmith is attempting to open a lock or install a replacement security system. Your business is like your baby. You’d do anything to protect it. Using steel commercial doors is one of the most effective ways to protect your business, and your livelihood. Here’s why. If you’re a business owner, then you know how much of your life has been poured into this one endeavor. Some people think that business owners have it easy. They are their own boss, and can make up their own hours. Heck, it’s almost like not working at all! But nothing can be further from the truth. When you start your own business, you become married to it. It evolves into a love/hate relationship. Yet despite the tumultuous times, you’d be devastated if anything happened to your baby… your business, and so you aim to protect your business in the best way you can. One of the most proven ways you can protect your business is by installing steel commercial doors. There’s a reason the nearly indestructible Superman is considered the Man of Steel – steel is as sturdy as they come. Where do these doors belong? The obvious place you think to install your new door is in the main entrance of the building. Yes, this is the logical first step, and while it’s extremely important to consider the strength of your door here, it’s equally important to consider the look. This will be the first impression you give to your customers. Make sure it’s a good one. 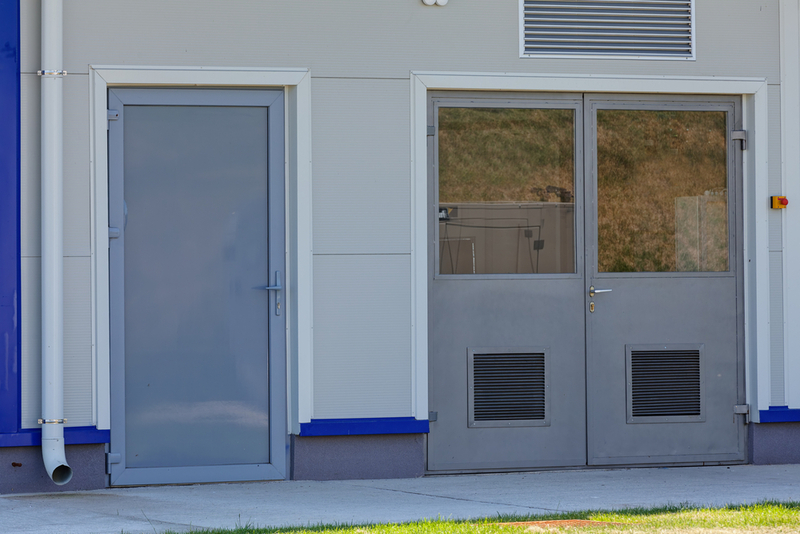 Besides the main entrance, other areas you want to install a steel commercial door in are any emergency exits and side entrances. Depending on the location, you’ll want to consider certain features like bulletproof glass, panic bars, and more. The added security you get. The benefits of steel commercial doors goes beyond the obvious durability of the product. As an added benefit, your facility will have an improved appearance. Also, these security blockers act as deterrents to would-be burglars, who realize that steel is not a material to mess with. Another benefit of the 21st-century steel door is that you can install modern-day technologies for added protection. This includes key codes or badges. This not only allows a limited access to your facility, but it also tracks who has gained access, and at what time. Yet another benefit of this type of installation is that it may qualify you for insurance rate discounts, because of the durability and reputation of steel doors. In the end, it’s up to you how you want to protect your business. There are certainly many options available for you to choose from. But by going with a trusted and tried option, you’re protecting your business, your employees, and your livelihood. Steel commercial doors are an investment worth making. You add serious protection and credibility to your facility by adding this level of security to your building. Allow Aurora’s leading steel commercial door distributor, Aurora Door Repair, to show you the many options you have to choose from. We’ll make sure you walk away with the most secure door for your facility’s needs. When something gets broken on a door, whether it is the glass or a frame, it is important to get it repaired right away. 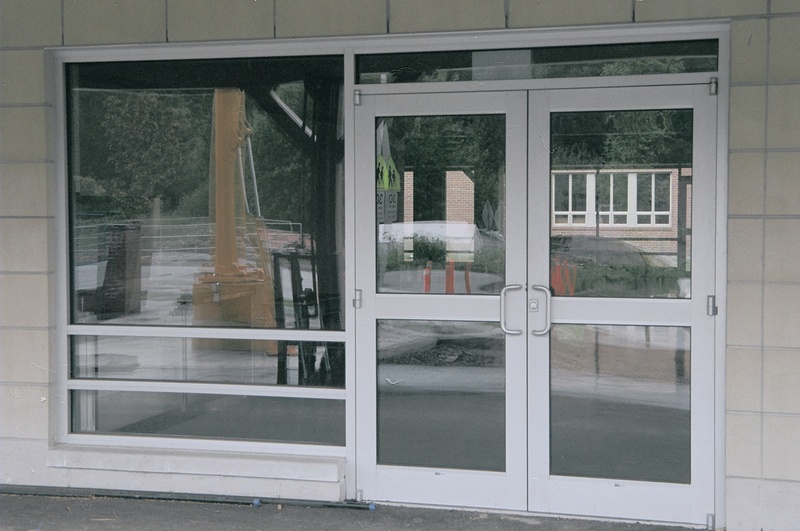 Choosing the right company to do this commercial glass door repair will be very important. Many of these doors are ones that customers are going to be using every day. There are many different sizes and types of doors that are used in businesses. It is important to keep employees and customers safe. Broken doors could cause a lot of different types of injuries. An exterior door will be much more of an emergency to get taken care of. wall or into something else. There are a lot of things that could break the glass or damage the frame of a door. With a lot of people walking in and out of them all of the time, it makes it much more likely. There are several different things that people are going to take into consideration when they are replacing a door. If it is in a place that causes them to get broken easily, they may wish to have a different type of door installed. Sometimes, when they are broken, the insurance company can pay for them, but not always. It usually depends on what happened to them. Commercial glass door repair is not going to be cheap either. A company that is going to be repairing it may have to show up quickly in order to make sure that more damage does not occur. They will be able to close up any holes temporarily or permanently, depending on what needs to be done. It is very important to make sure that the proper doors or glass for the doors is used to replace it. It is important that it is durable to withstand whatever abuse it needs to. Weather conditions can cause damage quickly, but so can accidents. Having a door repair company that is able to be reached at any time can be a big asset to a company. They may need to lock up for the night and find out that something is broken preventing this. The managers do not want to stay there all night long to protect the place, but if nobody can be reached to repair it, it could be their only option. Entry doors, garage doors and more are going to be of importance for every company. The glass doors are ones that people believe are very fragile. They can get broken but are very durable unless somebody gets real rough with them or something hits the glass. The type of glass that is put in them can play a big factor in how durable they are. Some businesses will use bullet proof glass in their doors. If they need to be special ordered, they will have to have it sealed up in some way until their new door or glass for the door arrives. A broken door can be very stressful for a lot of people. This is something that can cause people to take a different route in or out of the building. If it is an interior door, they may have to take a different route through the building. A commercial glass door repair company will be able to help people figure out what they need to do if something happens. They can order a new door, replace the glass or even fix hinges as well as latches on them. There are a lot of things that could happen to a door because it is constantly swinging open and shut as well as having people walking through the doorway constantly. Exterior and interior doors can get damaged from time to time. It does not matter how new or old the door is. Damage can still occur and usually at a time when it is the most inconvenient. Barr Commercial Door provides services when it is necessary any time of the day or night. They are able to show up and get the area closed up. 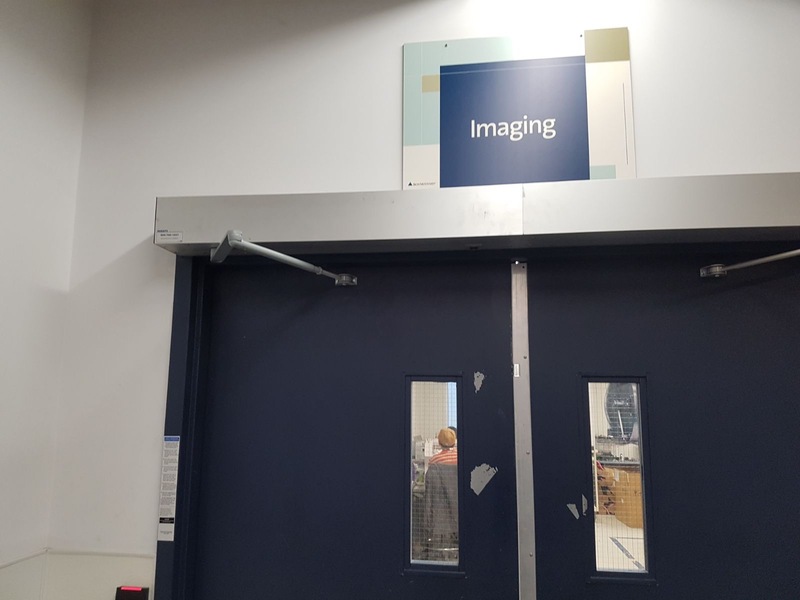 Sometimes, the proper door will have to be ordered, but they will get it closed so that there will not be a big open spot in the building until the door arrives.